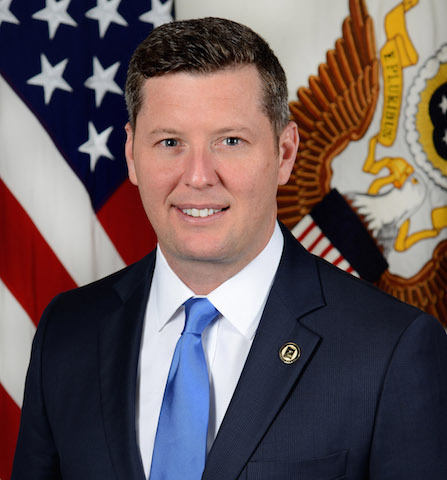 Patrick J. Murphy was appointed as the 32nd Under Secretary of the Army and Chief Management Officer (CMO) by President Obama in January 2016. He assumed duties as the Acting Secretary of the Army three days after being sworn-in and remained in the position until May 2016. In his role as Under Secretary Murphy leads the management and operation of the Army. His focus is on dynamic and efficient business operations, transforming the Army to be more innovative and responsive, expanding the Soldier for Life initiative, public-private partnerships and aggressively utilizing social media to tell the Army story to new audiences. Prior to his confirmation, Murphy was a litigation partner and served as an outside general counsel for small businesses at a national law firm. Previously he served as a Special Assistant for the Southern District of New York. Murphy was a television anchor and contributor to NBC Universal and executive producer for MSNBC’s “Taking the Hill,” a national security policy show which specialized in breaking down the civil- military divide. Murphy was the first Iraq War Veteran elected to the U.S. Congress, representing the Eighth Congressional District of Pennsylvania. He served on the Armed Services, Select Intelligence, and Appropriations committees and co-authored several initiatives including the 21st Century GI Bill, the Repeal of Don’t Ask Don’t Tell, and Hire Our Heroes legislation. Murphy was commissioned as a second lieutenant and later served in the U.S. Army Judge Advocate General’s Corps as a criminal prosecutor and as an assistant professor in the Department of Law at the U.S. Military Academy at West Point, NY. Following 9/11, he served two overseas deployments-Tuzla, Bosnia in 2002 and Baghdad, Iraq in 2003-04. While serving in Iraq with the 82nd Airborne Division, he led a Brigade Operational Law Team (BOLT) and earned a Bronze Star for his service. Patrick Murphy is a graduate of King’s College, the University of Scranton ROTC program and the Widener University Commonwealth School of Law.